Rather than boost the number of police, protesters who disrupted NYC council hearing argue for increased spending on communities and social services. 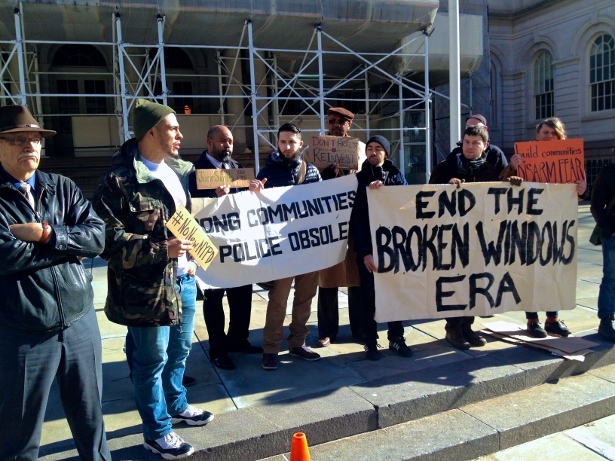 As police officials, politicians, and citizens gathered at City Hall for the hearing, a group of protesters gathered just outside the building with signs reading “End the Broken Windows Era” and “#NoNewNYPD.” At the rally, speakers from various activist groups spoke and offered critiques of Broken Windows policing, the controversial model of policing championed by Bratton, which focuses on small, quality-of-life crimes, “community policing” and proposals by local politicians to add 1,000 new officers to the NYPD. According to the protesters, all three policies criminalize and disproportionately affect poor communities and communities of color. Later as Bratton gave his statement to the City Council’s Public Safety Committee, he was interrupted by someone screaming to “End Broken Windows.” After that person was escorted out by security, Bratton resumed speaking for a few minutes until he was interrupted again by another protester. Gradually, the disturbances became more and more frequent until one protester stood up in front of the council members, called them “sellouts,” and told Bratton that he “should be fired.” Chants of “No New Cops” echoed throughout the chamber at that point. All members of the public were then told that they were no longer allowed inside the hearing because of the interruptions. 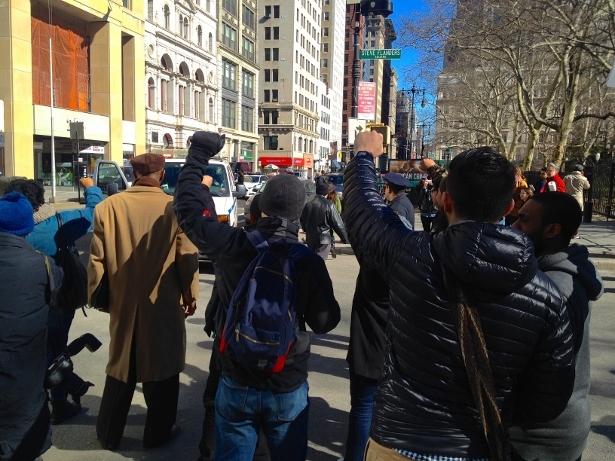 One of the protesters, a young woman, was also arrested, and while being escorted to the police van, she called for an end to Broken Windows policing and specifically denounced Councilmember Jumaane Williams for his support for increasing the size of the NYPD. Along with Bratton, Democratic politicians like Williams and City Council Speaker Melissa Mark-Viverito have been some of the biggest supporters of a push to boost the NYPD’s ranks despite their reputations as leading progressives of color. This alignment with Bratton and the NYPD’s requests for more cops and more “community policing” has earned liberal-leaning politicians like Mark-Viverito and Williams the ire of activists and community organizers. As a result, anti-police brutality protesters have focused their efforts on confronting these progressive politicians along with Bratton and the NYPD. 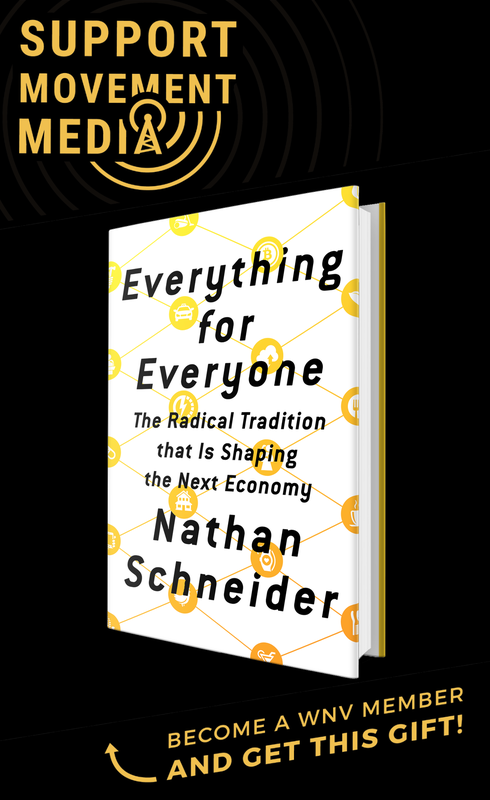 Rather than an increase in the number of police and the intensity of their policing, the protesters say that resources would be better spent on improving communities and providing much-needed social services. Once outside the hearing, the protesters saluted their arrested friend with raised fists, as she was escorted into a police vehicle. Then they congratulated each other for successfully bringing their message directly to the police officials and politicians that needed to hear it.